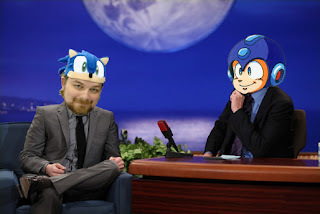 Our good friends at The Mega Man Network recently had some sit-down time with Ian Flynn, writer of Archie's Mega Man comics. There, Mr. Flynn gives a glimpse into what fans can expect from the upcoming story arc which dives in Proto Man's origins, the next Robot Master appearances, and future game adaptations. All in all, it's a terrificly insightful interview. Highly recommended if you simply can't wait anymore for the next arc. I think it's safe to say Proto Man is in good hands at Archie Comics. Can't wait to see this thing play out! Read the full interview at The Mega Man Network.